Cheese is an ancient food product produced worldwide and globally appreciated. The world cheese trade is of great importance economically, both at the industrial level, as well as when it comes to traditional cheeses, which provide income for rural populations. The diversity in cheese technology is enormous, varying in the type of milk used, the production operations, the lactic cultures, the maturation times and conditions, among other aspects. Cheese products, therefore, have a wide range of characteristics in terms of taste, flavour, texture, colour, shape, or size. Unlike cheese produced at the industrial scale, traditional cheeses are imprinted with a social and cultural heritage that makes them unique. The first part of this book contains chapters dedicated to the economic and social importance of cheese, the nutritional aspects and health effects, cheese technology and characteristics, as well as yeast microflora. Further chapters contain details about the traditional cheeses in different parts of the world, including European, African, or American countries, namely Brazil, Burkina Faso, Croatia, Greece, Hungary, Italy, Latvia, Lithuania, Mexico, Poland, Portugal, Romania, Serbia, and Slovenia. 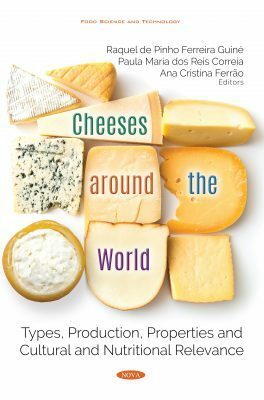 This book contains a diverse set of contributions that will enlighten the readers about many types of cheeses from different countries around the world. It is useful for professionals, including professors, researchers, or those working in the cheese industry, as well as for students or even the general public. This book gathers a very diverse set of contributions to enlighten the readers about many types of cheeses original from different countries around the world. It constitutes a convenient working tool for professionals, including professors, researchers or industrials, but is also of accessible readership for students or even the general public.